I decided to have my suspension rebuilt along with a few other things that have been bothering me, when I got a call from my personal mercedes mech. and was informed that he had misplaced my ignition key! I was also informed he lost the spare to go with it. How irresponsible can you be, but I guess these sort of things happen. Anyways I have already bit the bullet once and spent $802 on a brand new ignition lock and $20 something on a ignition with the keys from a foriegn auto parts place. What are my options as far as getting a new key made or just getting the switch to turn? Thank you for ALL replys or suggestions! I had a similar problem (lost keys) for my '88 300E. Carry your registration for the car and your ID to your nearest M-B dealer and they can order you a new key cut to your lock, if you have the original lock. Anyways I have already bit the bullet once and spent $802 on a brand new ignition lock and $20 something on a ignition with the keys from a foriegn auto parts place. You should also bite the bullet and make your personal mercedes mech repay you that $822 or give you credit for it towards your repair bill. Sure sounds to me like your personal mercedes mech. ought to be picking up the bill. Unfortunately, there are no options. The brand new ignition lock came from an aftermarket supplier, and, presumably, there is no data or reference to the key code for it. NEVER give out your spare key! A good locksmith can do the job. If you can get into the vehicle. If you can remove a door lock and the ignition I'm pretty sure they can also match them up. The door to the ignition. 1 Key for both. It wont cost $800 but it won't be cheap. Your current tumbler will have to be drilled out. Get a new tumbler and key from your local MB dealer - it's about $100, but most dealers will give you a MBCA discount of 20% - it's more that the aftermarket crap you put in there, but this way it matches your other locks and if you ever get in this fix again, you can always get a key from any MB dealer. Thank You for ALL replys! Not sure what's going to happen. He keeps saying he has a locksmith that's supposed to show up. I'll mention the idea about drilling the tumbler out and getting a new one. 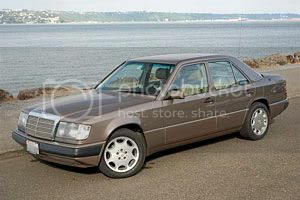 In the mean time I have his 420SEL that is in better condition than my 300SDL, for colateral. You paid $800+ for a new lock? What did that include? Sounds like you got taken for a ride. MB sells the tumbler which is vin cut for $100 and it includes a key. I would tell the mechanic that he better fix his mess, you already got soaked once. "No free man shall ever be debarred the use of arms. The strongest reason for the people to retain the right to keep and bear arms is, as a last resort, to protect themselves against tyranny in government." Do we know that the OE tumbler will fit the aftermarket lock? Sounds like your mechanic is SOL since that lock was after market and therefore the only tumbler that matches it will be the ignition itself. Let them call around to a locksmith and see if they can find one that can pick the lock and make a new key, or drill the old tumbler out so it can be replaced. All at the expense of your unfortunate mechanic. I bet when they see what the bill will be, they'll do a super thorough search of their shop, find your keys and you'll be happily on the road again. If not, they'll certainly never loose a customer's keys ever again. Heck, even if you had a spare, you could justifiably request that they replace the ignition tumber at their own expense to keep your car from being stolen. The lock itself is supposely from the MB dealership, $350, but the ignition with the keys is aftermarket. So maybe I can just destroy the ignition by drilling through it but where do I go from there? Thanks for any and all replys!